At Bucks County, PA oriental rug store Brandon Oriental Rugs - www.BrandonRugs.com - we believe in Rugged Individualism. Our service exists to help you find the right rug(s) to take the next step to make "Your world. Your way". Unlike sale-driven, discount rug promoters, Brandon bases its rug sales on QUALITY. We promise that you'll get better quality rugs for what you want to spend or will spend less for the quality you want to acquire. Who doesn't want to be a great artist? It can begin at home. When you are designing or decorating your home, you start with what amounts to a blank canvas; hoping to transform into a beautiful work of art. 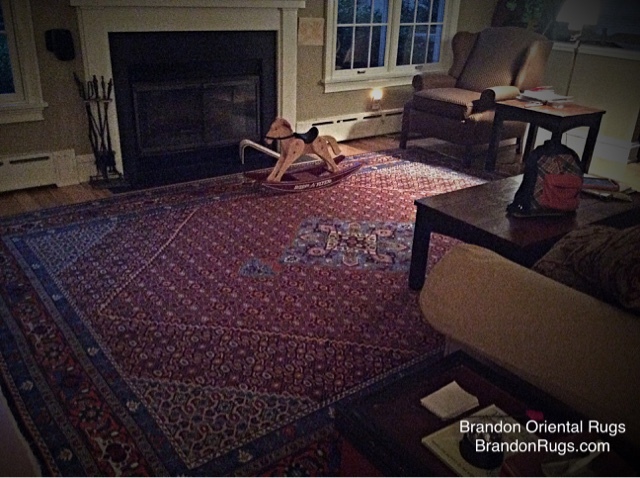 In this brief video lesson, Brandon Oriental Rugs -www.BrandonRugs.com - shows how easy it is conceptually to create beautifully designed rooms in your home. Three steps from start to finish is all you need to know in the way of a formula to fashion rooms that are unique, functional, satisfying, interesting, memorable, attractive and in your style. The finished room (built largely on the key second step of choosing the right rug for it) will be an enduring expression of your taste. Because it's a simple process, there's a lot of enjoyment for you as you proceed through the steps toward realizing your vision. So enjoy, and look forward to an accomplishment you can be really proud of. 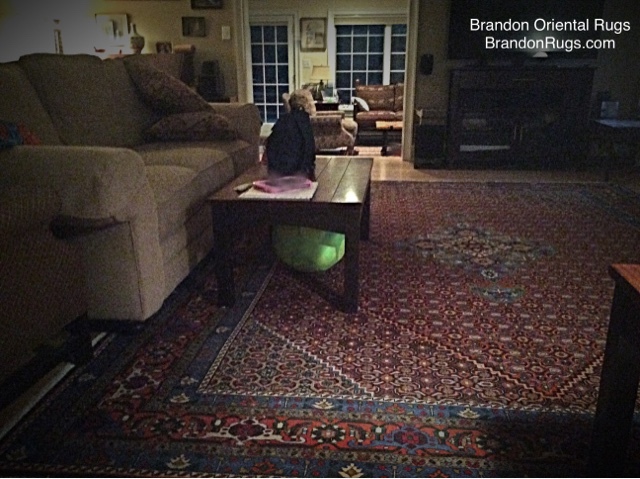 [This a How-to video regarding use of real handmade oriental rugs from Brandon Oriental Rugs. Please subscribe to our channel for news and new videos as they occur. A video presentation about how important design choices are for the living room and/or family room of your home. These rooms ARE "the center of your world". A lot of significant stuff happens here over the course of your lifetime in your home. The background for all of those events deserves some serious consideration when you think about all of the pictures you will have of them in memory. (BrandonRugs.com) Hand-knotted adapted Gendje style Pak-Kazak rug selected for the sunroom of their newly renovated home by our customers, homeowners in Lower Gwynedd, PA.
(BrandonRugs.com) Reproduction of the oldest hand-knotted rug ever found, the Pazyryk Rug (discovered in a Scythian burial mound and dated to about 400 BC.) This "copy" is 9'10" X 10'1'' (square) and hand-knotted in Pakistan using hand-spun wool and vegetal dyes. The homeowners, who have several small children, can look forward confidently to their new rug being at the center of home life for years and years and years to come. Rugs as distinct as you are. A service dedicated to helping you find exactly what you want in a real handmade rug (the right style, color, size and shape at the best price.) Brandon Oriental Rugs serves a large geographic region surrounding Bucks County, PA and helps our customers experience a real taste of real oriental rugs giving them an opportunity to really express and realize their unique tastes. Brandon Oriental Rugs is the company of oriental rug sales, cleaning, restoration, repair and appraisal in Bucks County, PA. We directly serve a large radius geographic area from our store location just outside Doylestown, PA. The thoughts shared on this page are also posted to and appear on our Pinterest board "Oriental Rugs in Home Decor".